Mt. 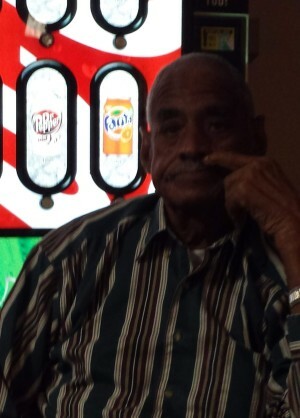 Olive - Mr. Charles Armwood, 83 of 240 E. Franklin St. transitioned Saturday at Genesis Health Care. Born in Duplin Co., he is the son of the late Almond and Hepsie Simmons Armwood. Cherished memories will linger in the hearts of his sisters, Luevicncie Teachey of Georgia and Evelyn Armwood of Faison; one brother, Thomas Armwood of Faison, NC; his nieces who served as his caretakers, Edna Wright, Cynthia McKinney (Herbert) Twanda Oates and Joyce Thomas (Jimmy); two special nephews, Hosea Oates (Doris) of Mt. Olive and Francis Oates of Faison. A host of other nieces and nephews, relatives and friends.